Guaranteed departure, fully escorted tour of some of Italy’s classic cities and regions. This tour spends 2 night’s in the beautiful Renaissance city of Florence and 2 night’s in Venice with a trip to the colorful island if Murano. 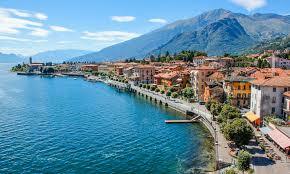 You will see the beautiful Northern Lakes of Garda and Como and spy Juliet’s balcony in Verona. Be enchanted by the Cinque Terre as you explore the villages by boat. Spend the night in the Roman walled city of Lucca. Then enjoy a walking tour of Pisa stopping to gaze at the iconic leaning tower. Sip the fine wines of Montepulciano made from grapes ripened under the Tuscan sun before returning to Rome. Please note longer versions of this tour are available that include sightseeing in Rome and Southern Italy. City taxes collected by the hotel. Euro2-3 per night per guest.